A marquee signals Goree Auction Gallery's upcoming move. 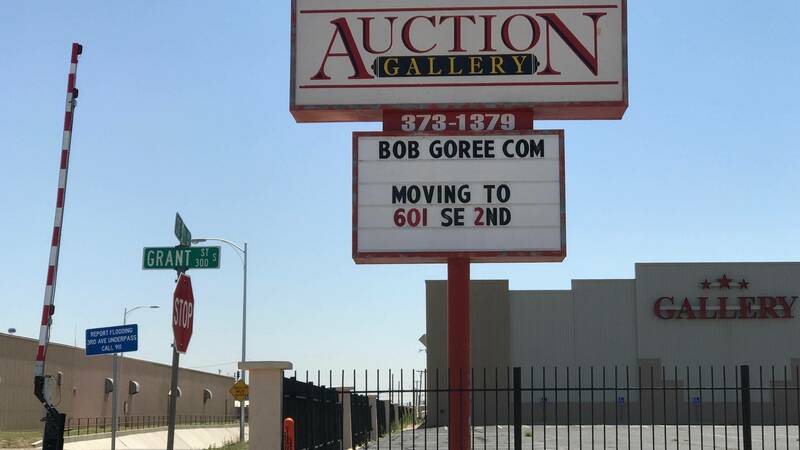 Bob Goree Auction Gallery in downtown Amarillo is alerting customers that it will move its business a few blocks northwest. The auction company has posted the news on the marquee outside its current location at 301 S. Grant St., adjacent to Amarillo's historic Santa Fe Depot. The depot sits east of the Amarillo Civic Center in the downtown warehouse district. Messages left for company owner and real estate investor Bob Goree were not immediately returned. The auctioneer's relocation likely has to do with a lease expiration. The city of Amarillo has owned the auction site and the depot as one contiguous tract since it bought the property in 2014. So, the auction company has been leasing its facility since then, and that lease is set to expire in September, city spokesman Jesse Patton said. Potter-Randall Appraisal District records show that Bob L. Goree Properties owns the warehouse where the auction company will move. The city does not have immediate plans for the property, he said, adding that voters declined, last November, to approve a bond proposal that would have included $7.5 million for the historic structure's rehabilitation. The city council voted in 2014 to pay $2.6 million for the 1910 Mission-style depot so it could be preserved and redeveloped in the future. The 1910 Mission-style Santa Fe Depot, left, in Amarillo is on the National Register of Historic Places. Goree Auctioneers has been operating from the building to the right. 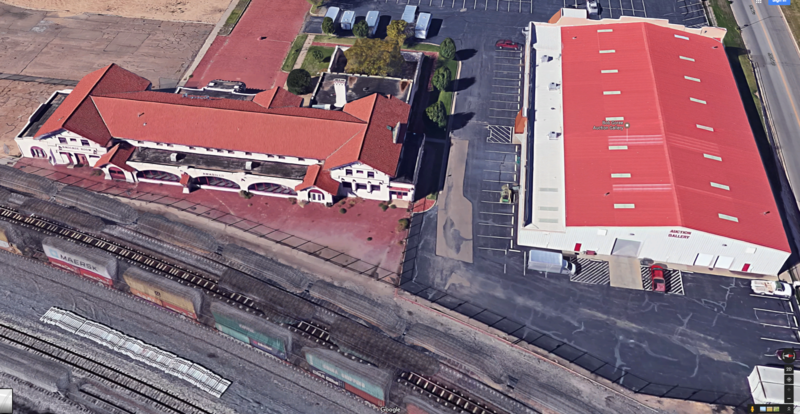 An Amarillo historic buildings survey shows the depot was built following the completion of the Santa Fe Railway line into Amarillo in 1908. It is included on the National Register of Historic Places. In 1994, the Gilliland Group saved it from being sold at auction, due to delinquent property taxes. The group's subsequent attempts to revitalize the property were unsuccessful. Goree has owned the property since 1998.